QUESTION: What do Sugar Smacks, the Stay Puft Marshmallow Man, Jiffy Pop, and the sleeves of 1980s ladies’ garments all have in common? They were all really, REALLY, puffed. I actually remember feeling dismay when sleeves stopped being puffed. They felt uncomfortably restrictive, weirdly fitted. Just WRONG. 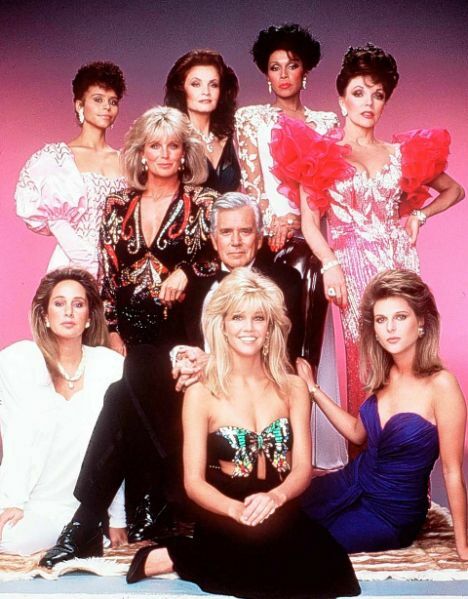 But styles change, sure enough, and once we were in the 90s, puffed sleeves (along with their soul sister, big ol’ shoulder pads) fell out of vogue. Like Anne of Green Gables, I loved having luxuriant puffs on my upper arms when I was a girl, but like a bowl of forgotten Sugar Smacks, even those puffs went stale with time. Why did we like them? Well, why NOT? They were feminine and flattering, waist-whittling and sassy, and gave a little teeny bit of Victorian flair to even the shiniest, most fluorescent outfit. 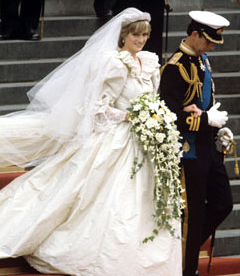 Lady Diana Spencer’s dress, worn when she wed Prince Charles of Wales in 1981, brought home the allure of the puff. 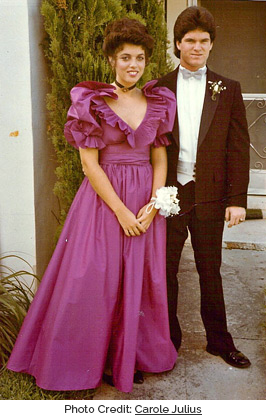 Her wedding gown’s sleeves were awesomely inflated. Designer Carolina Herrera took the image of those puffed sleeves and ran with it. She designed clothing for clients like Jackie Kennedy Onassis and Nancy Reagan back in the eighties, full of puff and shine and drama. No shy little cap sleeves here, ladies. Oleg Cassini, Jessica McClintock for Gunne Sax, Laura Ashley, and Gloria Vanderbilt, among many others, designed gloriously pouffy-sleeved garments for us, too. I guess it was a no-brainer: we wanted our hair big, our clothes shiny, our makeup bold, and our sleeves large enough to hide cantaloupes. 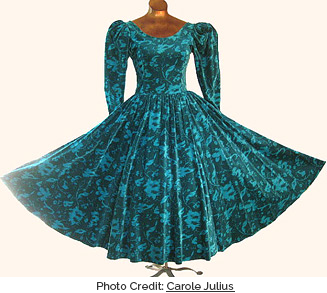 This ladylike teal dress (pictured left) was perfect for a mid 80’s holiday party. 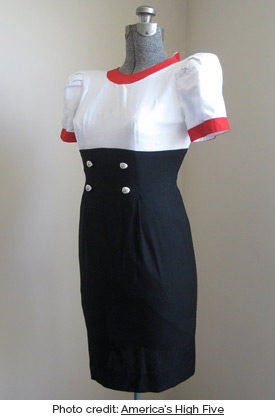 The gathered waist, the scooped back, the swishy skirt, those full sleeves: so pretty! 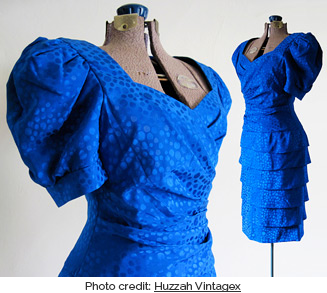 This shapely royal blue dress (pictured right) gives an elegant and sophisticated spin to puffs, ruffles, and gathers. Alexis would have loved it. 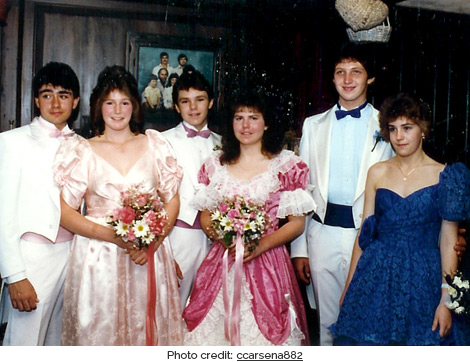 Here’s a fabulous shot of prom in 1987, in all its pink-and-pouffy satin glory (pictured left). Check out this gorgeous shot, also from 1987, of a metallic silver dress designed by Prue Acton (pictured rght). Awesome! I think I don’t have a single puffed sleeve in my closet, and that’s a shame. 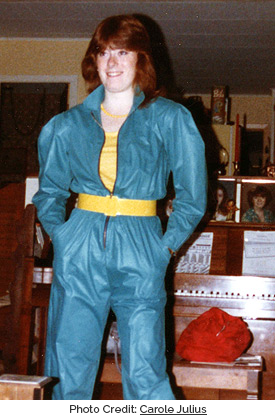 It’s fun to dress in 80’s retro gear, and one big tell for an article of 1980’s ladieswear is a set of fully inflated shoulders. 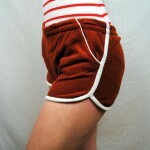 Fortunately for me, stores like Ebay, Etsy, and good old Goodwill are happy to oblige my love of the puff.